Tucked in the wooded beauty of Brothers Cove, Hook’s Haven #2 is a three-bedroom, two-bath log cabin that comfortably sleeps eight. Guest can get their beauty rest in one of the three queen-sized beds, or on the sleeper sofa. Select bedrooms feature jetted-tubs, televisions, and private decks. The living area features a gorgeous stone, wood burning fireplace and flat-screen television with Direct TV and a DVD player. Cooking is a breeze in the fully-equipped kitchen, including both small and large appliances, with a six-person dining table readily available for meals. There is also a charcoal grill for additional cooking. Take advantage of the great outdoors on the spacious porch. 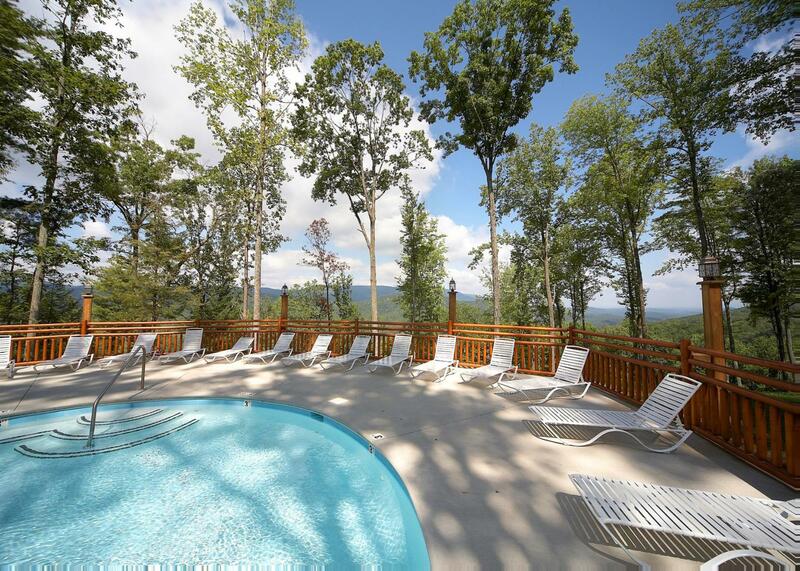 Featuring a hot tub and plenty of rocking chairs, guests will continue to relax in nature during their stay in Hook’s Haven. For guests’ convenience, there is a washer and dryer at the home, as well as enough room for three vehicles to park. There is also free WIFI. We encourage guests to bring their four-legged friend, as Hook’s Haven does accommodate dogs for an additional fee. Hook's Haven #2 is rated 4.5 out of 5 by 14. Rated 5 out of 5 by Richard F from Great weekend getaway. Visited this home for my friends wedding at the Lodge. Was really nice little cabin for our family to enjoy and relax in. Rated 3 out of 5 by Jeff1 from Not Rustic This was our 2nd year visiting Brother's Cove. We've enjoyed both stays, but thought it necessary to share some pros and cons, specifically regarding our cabin's condition. 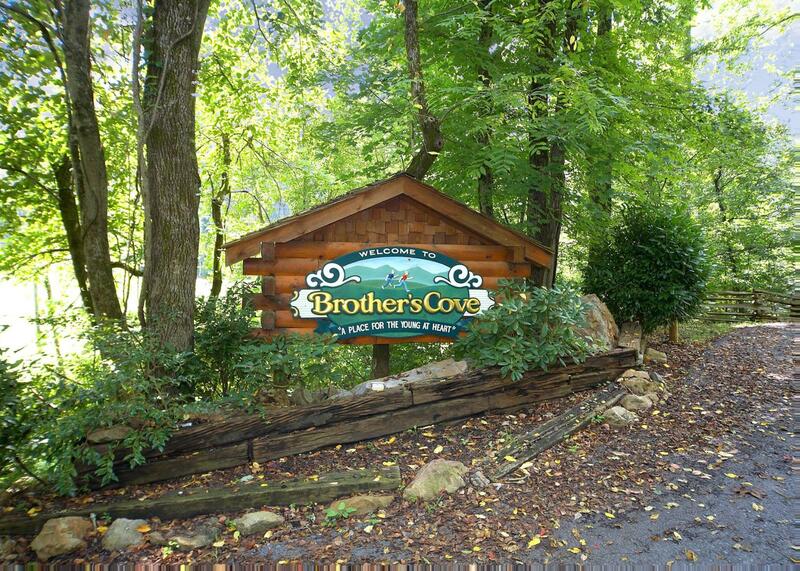 Pros - Brother's Cove is convenient to Pigeon Forge and all the fun tourist activities, but is far enough away to feel a bit secluded. The area and mountain upon which the Brother's Cove rests is beautiful. 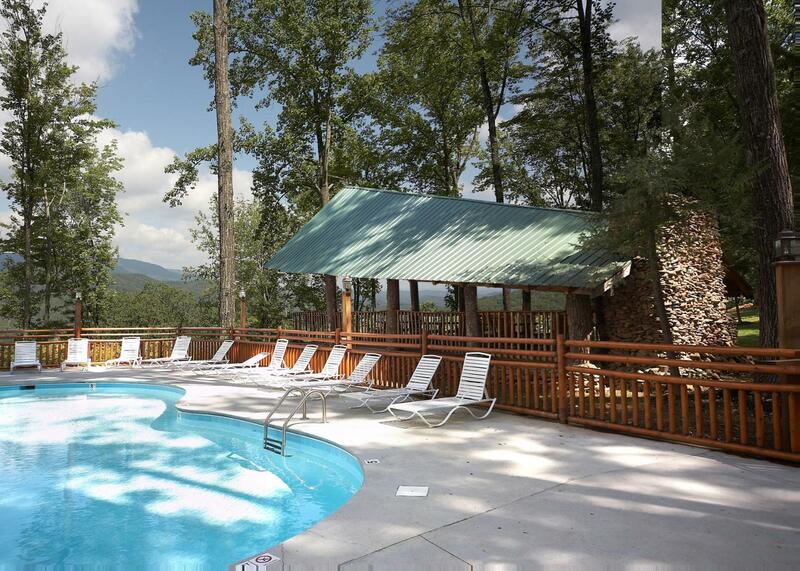 And for the most part, the cabins are quite nice (last year was very nice). Another pro is how friendly the staff at the office are, and how helpful they can be. Cons - Well, we face our first significant con this year, and that was the condition of this year's cabin (Hooks Haven #2). As you can imagine, Thanksgiving prices are quite high. But you'd expect the condition of the cabin to match the price paid. Hooks Haven #2 was less rustic and more rundown, and we faced the following conditions: drainage pipe under the sink were not connected (yes, there was a gap for the water to drain under the sink); the upstairs Jacuzzi was moldy around the nozzles (no recent bleach cleaning) and the wood work around the Jacuzzi looked unsafe (broken trim fixed poorly); the hot water in the downstairs bathroom didn't work (they secured it at the lower valve...a simple washer could have fixed the leaking problem); there was a missing light bulb in this bathroom (shower in the dark); the downstairs DVD player was in black and white (couldn't figure this out); and the upstairs TV was connected to a DVD player only...no Direct TV. Overall, this cabin needs some TLC. Have already booked next year's cabin at Brothers Cove...won't be Hooks Haven #2. Rated 5 out of 5 by Retirefire from Stayed in this home in July. Great place. Nice house, very peacefull. Rated 5 out of 5 by Nina 446 from Quiet Retreat We stayed here at the end of August. It was so peaceful and quiet. This cabin is near the entrance so for those not wanting to negotiate the steep and windy roads (especially at night) to go up and down the mountain, this is an ideal location. It is a pet friendly cabin. We were here for a wedding and the wedding at the top of the mountain was spectacular! The cabin is showing a little wear and needs to be updated, but we were comfortable here. Rated 5 out of 5 by The Smiths from Great Stay!! Our family visited Hook's Haven 2 during Thanksgiving of 2017. We had a blast and found the cabin to be very accommodating. It was clean, comfortable and had everything we needed. 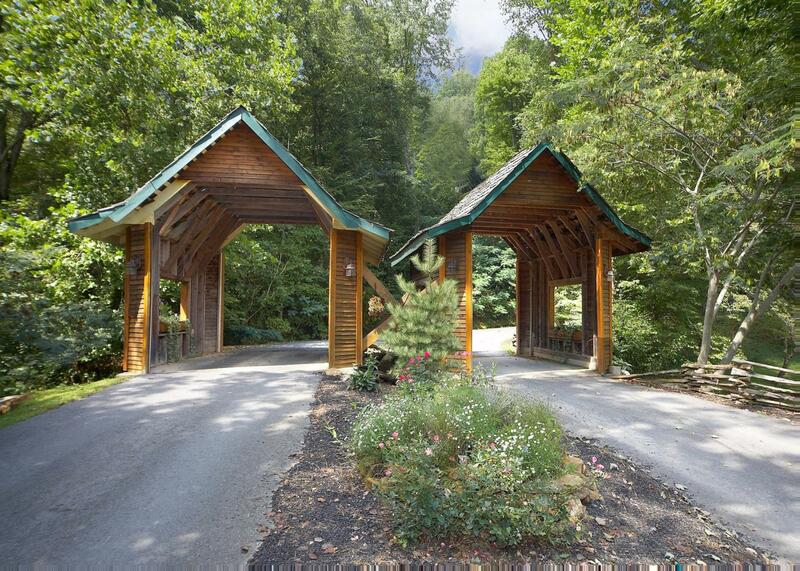 It took about 13-14 minutes to get to Wears Valley Rd and we loved the scenery going to the cabin. We will definitely return!! The hot tub was wonderful, all of the beds slept great - even the sofa bed was comfy. Thanks Natural Retreats!! Rated 4 out of 5 by rfuchs1 from Very nice cabin We visited the weekend of the eclipse and had a great time. The view on the back porch is so beautiful and peaceful, a great place for a cup of coffee in the morning. The kitchen is well stocked. My only suggestion here would be to replace the stove, only one burner really works. Also, directions on how to use the DVD player would be nice as well. Rated 5 out of 5 by Garnerdt from Peaceful and Comfortable We enjoyed the cabin very much. Thought it was odd that there was still a Chistmas tree up and Christmas decorations in March. Also did not like having to put garbage in my new vehicle in order to take it to the dump. However the staff was very accommodating and fairly responsive when the furnace went out. Rated 3 out of 5 by Crobbins from Beautiful setting We stayed here for a wedding and not being able to make calls or receive some text messages between cabins made it a little difficult. The setting was beautiful and the cabin was nice but the beds were horrible.